This is a time line of my ongoing fight to get my new cell phone up and running. Just After Christmas – Opened the packaging on my shiny new Samsung T301g phone. Contacted Tracfone to begin porting my old cell number from STI Mobile. Late December to Early January – Played middle-man with STI Mobile and Tracfone, since my account password was apparently incorrect. They need this to release my phone number. I requested the password from STI Mobile twice, both times it was apparently incorrect. This was not resolved by the time I went to Taiwan. I asked my dad to continue the battle for me. January 16th – I return home and my dad tells me they’re sending me a new SIM card and Tracfone has instructed me to call them to complete the process. January 17th – I call Tracfone with the new SIM card installed. I am on the line with a service rep for 2 HOURS. He puts me on hold for over 20 minutes when I hear the warning tone phones give when they’re off the hook for too long. I assume I have been disconnected. I call again and decide to try their activation service by phone. After realizing that it gives me no control over picking my number, I give up and call again. Service rep (#3 for the day) manages to activate my phone and assign me my old number. This is great because I’m going to school soon. However, when I try to register my phone on their site so I can buy minutes, it says I’m pending a phone number. Crap. January 18th – I am going to school today. My phone situation is still inoperable. I call customer service, having given their system 24 hours to hopefully fix itself (of course it didn’t). I tell them what happened, and even admit that I might have made a mistake. This lady seems to speak English natively, which is a plus. They try to fix the problem and say that it should be corrected within 24 hours. January 19th – My phone is still “pending a phone number” according to their site. Funny, I can receive calls to my phone number just fine. I begin an email dialogue with Tech support. January 20th – They finally get back to me via email and say that they are sending me a second SIM card. January 22nd – My new SIM card arrives. Since I don’t have a phone, however, I have to use Michelle’s to call tech support. After 50 minutes, my new SIM card is registered but in the process, I’ve lost my phone number, which was working previously on my phone. I have been reassigned a number in a completely different area code. The service rep tells me that my phone number should be corrected within an hour, however. It is not, go figure. I send them an email stating their failure and the time it has cost me thus far. January 24th – After several increasingly frustrated emails, I am told to call them directly. January 25th – Having wasted 50 of Michelle’s minutes previously, I borrow someone else’s phone (Thank you, Dave). I call customer service and tell them I am trying to correct my phone number. 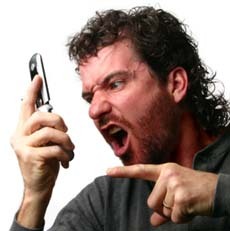 They misinterpret this as me trying to move a number from an old Tracfone to a new Tracfone. I correct the man on this issue, as well tell him the case number of my original phone # port. He says I need a new SIM card, and gives me a ticket number. This ticket number, I find out, is for a port request to STI Mobile, which *should not* still have my number. Summary to date: I will be receiving my THIRD SIM card for a phone I have been unable to use for nearly a Month. Based on this, from what I can tell, Tracfone is an institution with indecisive and ineffective IT personnel who cannot remedy what should be a straightforward problem. They have now compounded the problem and I will be pleasantly surprised if this is resolved in a week. As much as Tracfone is cheaper than prepaid providers like Verizon and AT&T, their problem-solving abilities are unsatisfactory. I was put on hold so that service reps could “speak with their supervisor” over half a dozen times. They also can’t seem to address issues unless it is over the phone, even though it is harder to misinterpret words via email (versus accented English). Plausible alternatives if this is not fixed soon: Virgin Mobile.